Halloween coloring pages are fun activities for kids of all ages! These cool images are original and printable. Use colored pencils, crayons, markers or paint them to form your own artistic creations. These images were designed for this website. You won't find these free coloring sheets anywhere else! This website is a fun and informational place for kids and adults. So, I've dedicated an entire section just for free coloring sheets. Use them as party decorations, hang them around the house, give as gifts. Kids can be proud of their colorful creations! LEFT CLICK to view. Then click OK. RIGHT CLICK. Next click "OPEN LINK IN NEW WINDOW." Click OK. Download & Print. You may want to cut and paste these Halloween images too. For instance, color the treats then cut and paste them into your colorful Halloween bag! Halloween coloring sheets are some cool images at this website. Find a variety of printable and free coloring sheets! They're for visitors like you! - Orange and black are Halloween colors. - Tootsie rolls were the 1st wrapped penny candies in USA. - Halloween annual candy sales average $ 2 billion in USA. - Snickers candy bars are most popular for trick-or-treaters. 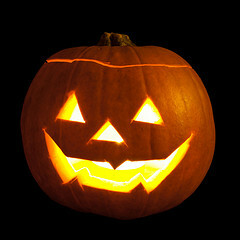 Jack-O-Lanterns originated in Ireland. Candles were placed in hollowed-out turnips, keeping away spirits & ghosts. Ancient Celtics thought ghosts roamed the countryside on Halloween night. They wore costumes and masks to avoid being recognized as human. Halloween is on October 31st, the last day of the Celtic calendar. It was referred to as "All Hallows Eve", dating back over 2000 years. Make a Halloween Homemade Soap! Can you find the winner of the ugliest goat milk soap? It's the one on the left in the front row. This soap is called "Voodoo Soap", with swirls of black, brown, orange and purple. The soap maker won an award for the "Ugliest Soap" at the 12th annual Alabama Soap and Candle workshop.